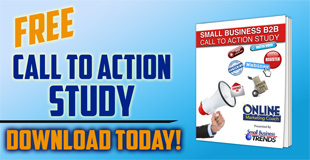 Get your FREE copy of our new "Small Business B2B Call to Action Study," a 30-page report presented by Small Business Trends. 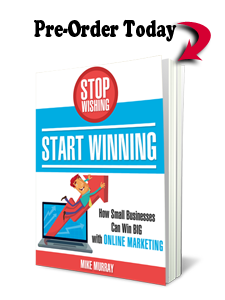 We looked at 200 U.S. small businesses and found that they often fall short with call to action opportunities on their web sites. For example, 96% of small businesses don't offer how-guides, white papers and similar thought leadership reports on their home pages. In fact, 70% don't display clear calls to action for additional conversion opportunities on their home pages, such as specials, e-mail newsletters, demos, and interactive tools. 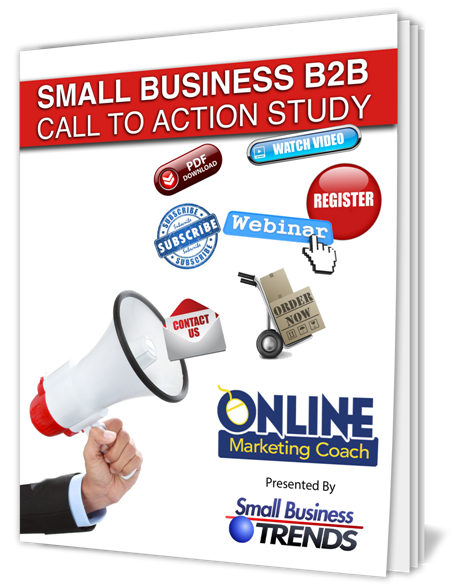 You will also get a bonus resource: the "Small Business B2B Call to Action Checklist,” which provides guidance on 30 web site call to action considerations.